Today, during the lunch break of my tour, I took a seat at my favorite coffee shop between the Comédie Française and the Louvre. Sometimes Seattle does a body good, especially when it’s free. As my tourists were off doing their business, getting sandwiches, heading to the bathrooms, the woman next to me asked where I was from. And, gasp, she asked it in English. The urge to look at her with a smoldering gleam in my eyes arose within me. There’s no way that this woman was speaking English to me at this café in the first arrondissement of Paris. She was dressed head to toe in, well, clothing, but I bet her underwear was made of ignorance. I couldn’t tell, but let’s assume, just for kicks, eh? But here’s the best part: her accent was marked. Yep, that’s right, I could tell that this lady didn’t come from England. And she definitely wasn’t from Australia. She said things like Y’all which not only means that she’s a total idiot, but that should be grounds for deportation, if you ask me. She introduced herself as a visitor from Texas. I shuddered. I ground my teeth as I, rather thoughtfully, asked her why she was visiting. Her employer offers his employees a trip every year, and she chose to come to Paris with her granddaughter. Of all the nerve. I bet you she was going to take a picture in front of the Eiffel Tower, too. She might as well have slapped me in the face with these insulting remarks and notions of travel. She was daring to be a tourist in my city? In Paris, of all places? Appalled. Some people just don’t get it. Taking your picture here = loss of street cred? Sounds ridiculous, right? Well, it’s not pure fiction, sadly, for some people. Rest assured, this did happen without all of the tawdry self-important commentary. In reality, I was happy to talk to that lady for the five minutes that we sat next to each other. She was a curious traveler and she asked me questions. Ballsy, one might say. Peter Jon Lindberg of Travel+Leisure a very important question in an article that was included in 2010’s selection of best travel writing. “Doesn’t every traveler start out as a tourist?” he asks. And it’s a poignant one. But that an American should even become a tourist is, let’s face it, a remarkable feat. Only about 30 percent of us have passports, a number far inferior to many other countries. Admittedly it’s easy to stay within the United States, but going abroad is an experience that requires more effort. Those willing to take the plunge are commendable for taking a step in the right direction. Coming to France, especially, with its overhanging cloud of American-hating, which largely doesn’t exist at all, is even more daunting for many Americans. Dreams of whimsical villas in Tuscany and pubs in Ireland are comfortable and friendly, but baguette-wielding Parisians, forget about it. “They hate us” is wasted mental baggage that so many tourists bring with them. The real hate, however, emanates not from Parisians, and certainly not from the French in general. Dozens of trips to other cities and towns in France has proven to me that, in fact, the French are fascinated by foreigners coming to visit them. And Parisians, well, even many French people from the provinces will tell you that Parisians are just a separate breed. They are crotchety to everybody, but easily won over if you have enough time here to learn to play your cards right. The real hostility seems to seethe from beneath the more-French-than-the-French attitudes of many in the large expat community here in Paris. Those who have left their nation behind for the allure of Paris seem to detest any reminders of their seemingly former life. But who amongst is not secretly hoarding a jar of peanut butter? Starbucks? Forget it. McDonald’s? Gross. Speaking English? How horrid. Being sensitive to the fact that not everyone has the privilege to move to one of the most expensive cities in the world and experience it like a “local”? Out of the question. 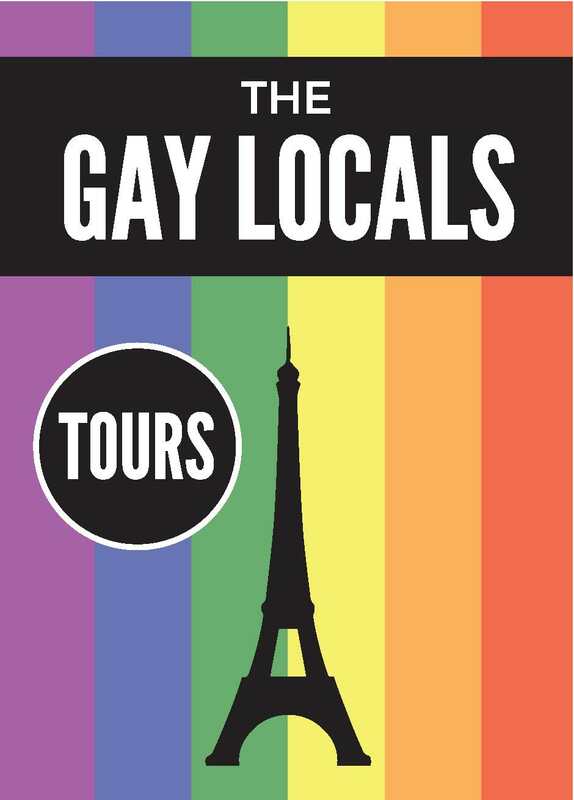 Judging tourists who are coming to Paris and not conforming to an expat’s image of what a traveler should be, well, it’s elitist and, quite frankly, embarrassing. Who among us owns the gavel and powdered wig of tourists' motivations? Who gets to decide how we define experiencing culture? Expats brutally and ignorantly calling out another American for embodying the "Ugly American" stereotypes is the pot calling the kettle black in every sense. When my parents first came to Paris, I admit was perturbed that they didn’t know how to speak French and I cringed when they said, “thank you” instead of “merci.” I thought that after one day in Paris, they should have gotten it. Only afterwards did I stop to think that it took me 6 months as a student here to find the ropes, let alone to learn them. A French friend told me, during one of my rants, to calm down and be patient. I tried, and it was difficult, but I’m at that point where I understand that. I understand that not everyone can have the same immersion experience that I have had. The fact that my dad even listened to French CDs in the car before his trip was more than commendable. It was real effort. My first job in Paris put me in a French-speaking environment – it wasn’t really any effort on my behalf. I learned French because it was sink or swim. My dad was learning it in an effort to get into the pool at all. He didn’t have to take that step. He wanted to. These days, I avoid tourists speaking English not because I don’t want to talk to them. On the contrary, when I meet English speakers out and about in Paris, I like seeing the different reasons that people find themselves in Paris. Trips, studying, living, loving – it’s fascinating. I avoid approaching them instead because I know that there is a certain joy in wandering a city, in reading a map, in getting lost, and then in finding your way all by yourself. We’re Americans, we’re all about doing it ourselves and part of traveling is the discovery. I don’t want to steal someone’s moment by telling them where Notre Dame is. They’ll better remember their struggle and eventual success more than that snotty expat that pointed them in the direction. But should anyone every sit down next to me and in a beautiful Texan accent ask me what I’m doing in Paris, I’ll tell them. The unseen fatigue, constant discomfort, and difficult experiences that tourists face can be so quickly alleviated by a few comforting or even informative words from a fellow English speaker, a person who was there, who started out as a tourist themselves. After over two years living here, I’d still take the innocent and glittering glint of a tourist’s eye over the smoldering gleam of a seasoned and apparently hardened expat any day. brilliant. I sadly admit being one of the people who scorned tourists but you're absolutely right. At times I would reach out to them when they looked lost, at others I'd wait for them to come to me. But you've given me a new perspective to carry with me as I travel my city.... I TOO was a tourist and am a tourist is every other city (sometimes even Philly! ), which I recall fondly. Really great post Bry, your best yet! It's funny because there are a zillion tourists in my neighborhood & they've often got their faces buried in their maps, seemingly lost. One day I thought "Gee, don't I like it when I'm in a foreign city and someone stops to help me?" So I did. I probably don't do it as much as I should - (especially since I realized recently I sent someone in the wrong direction!) but I promise to get better at it.. I don't even actually live in Paris, but spend so much time here that I have to admit to sometimes feeling the same way. I even found myself "helping" two women sitting at a table next to me in a café, telling them the proper way to greet and order. This was an eye-opening commentary on those of us who have had the good fortune to spend extended periods of time in Paris. bravo! well put and a very good reminder to us all! David: I get that directional remorse too. Just happened to me yesterday (in my own neighborhood!) I'm pretty good at where things are, but I'm always on the metro so when I point a walker in a direction, it's not always exactly right. And, i usually realize after I've walked away and it's too late. And, then I go the rest of the way home feeling really stressed out and guilty because I've misdirected a poor unsuspecting victim. Fortunaly we live in Paris, so they hopefully they'll find something else cool wherever I send them! :) I should wear a T-shirt that says "i'm happy to help, but don't trust me geographically!" I'll be heading back to Paris myself in May to bask in the wonder of getting lost as a (quasi)tourist. And maybe it's the former tour guide in me, but I've always liked helping out tourists in Paris, New York, or anywhere really. It's really only the obnoxious parisian lycéens that annoy me most of the time haha. But I do not by any means leave scorn my former home. I think that you are merely doing the exact opposite of what you are accusing me of! You are "publicly stoning" (to use Heather Stimmler Hall's words) the exapts living in Paris! It was not easy to be able to come here and stay, and I had to fight for all the possibilities I had. So no, I have little to no patience for those people who come here expect everyone to speak English, and seek out that which they are used to in their own culture. What is the point of traveling then???? While I understand that people do take time to adapt to a foreign culture, I think that what you often see in Paris -and in the exemple of the Prête-moi Paris blog- is not a problem of adaptation but rather a problem of manners. As the old saying quoted on top of my comments go: if you're going somewhere, try to bend to the local customs and be agreeable to the local people. If you don't intend to, well, don't expect to be treated in a nicer way or even learn anything. Otherwise, well, you can stay home. There's no need to agonize over whether we should be nice to lost tourists -in fact we should really all try to be in that case- but sometimes tourists are not lost. They feel entitled to do whatever they want and even worse, since no one from home will be around to judge them. Manners, polite behaviour are not a thing of the past, they're part of our social life. Let's remember that from time to time. Bryan, I almost enjoyed your post until I realized your first segment was copy-pasted from a fellow blogger. I feel as if it's a bit immature to be openly critiquing another blogger...in your own blog. I suppose people will do anything for viewership. I think the difference between you and the common tourist who is mentioned in PreteMoiParis' blog, is that you were conscience about the fact that you and your parents were speaking English when you knew you wanted to fit in/respect the culture and speak French. You actually felt bad, whereas the tourists mentioned in the PreteMoiParis blog did not. Also it wasn't the Texan/Southern accent that was the problem. It was the fact that they didn't like the retort the author made about the fact that they were in France and the national language was French. This is a fact AND I think its a valid point! Its like hello, don't forget you're in a foreign country! Of course you're not going to hear English all day...it's just an odd thing to complain about when you're on vacation, in a non-English speaking country. That's the ignorance that the author is trying to point out. Not the Texan accent. I'm an American expat living in France for almost 6 years and I have to say that sometimes I find myself annoyed/pleasantly surprised by tourists. I do, however, expect tourists to try TRY to immerse themselves in the culture. It doesn't mean they need to speak French at all, just be respectful and aware that they are in a different country and no expect it to be like their home. As a Texan who spent a summer studying in France under the unpretentious and extremely welcoming guidance of Melissa, the Prete-Moi Paris blogger, I'd like to say that I disagree with your approach here. First of all, it was passive aggressive and all-too internet-bully-esque to not directly say what exactly you were referring to, but to instead use snippets of the article. If nothing else, that was just using the exact level of snobbery you seem to be accusing the other article of. Her point in that article was not that all tourists are evil, not even just the ones who speak english. Everyone who has been there knows that many of them are ecstatic to practice their english and do so freely with tourists. It's merely the sense of entitlement, that, "I'm American, I speak American wherever I go, deal with it" mentality. When you are an expat who has worked for so hard and so long to do damage control and bury the perception that American tourists are obnoxious and entitled, it's very frustrating to hear a yackety table of your own kind undoing all of your hard work with every ignorant thing they shout about American pizza. I mean, come on, that menu was in english and they still had to ask what it said? She smoldered at the ignorance, not at the fact that they were tourists. I smoldered just reading about them. I'm a born-and-raised Texan who has to deal with having "Texas is Bigger Than France" shirt in every souvenir shop. She never smoldered at me or my fellow Texan students, in fact she was more than ready to kindly answer any inquiries we had about the city and the language. It was probably the not trying aspect that really got to her, and rightfully so. Also: I went to the Eiffel Tower with her. And we took pictures. And it was awesome. First of all, I don't see where snippets of Melissa's article were used. Everything Bryan wrote is original (except for the "smouldering gleam" phrase, which, let's be honest, was just as ridiculous in its original context) -- so I am also baffled by Jon's "copy & paste" reference. Additionally, the Prete-Moi article is linked to within this post, so ... that's not exactly the definition of passive aggressive OR cyber bullying. I found it to be a thoughtful response to what I thought was an offensive original post. I read the post on Prete-Moi a few weeks before this one was posted, and I found it unnecessarily rude and distasteful. Perhaps that wasn't the intention, but that's how it came across. Of course we've all been embarrassed by our fellow Americans while abroad, so I understand the very basic sentiment behind the Prete-Moi post, but the manner in which it was presented was atrocious and mean. All I could think was "oh those poor tourists..." I was absolutely horrified by the response to them. They merely expressed their relief at hearing English at what was probably the end of a very long day (a day none of us know anything about). I'm sure all of us can recall particularly trying Parisian days -- problems because of cultural differences, trying to run errands only to find "fermeture exceptionnelle" signs wherever you go, the people who (like ANYWHERE ELSE) can be rude, the unpredictable weather, and YES, even the language! Parisian days where, at the end of them, all you want to do is see a familiar face or (GASP) hear someone speaking a language you understand. How do we know they weren't having one of those days? Being in a foreign country is hard. Even for a short period of time. ESPECIALLY for a short period of time, because you don't have the opportunity to understand or adapt to your environment. So how dare we put on our fancy/pretentious/bitchy expat hats and sit around and drink our vin rouge and criticize them? Just because they were happy to hear a language they understood, just because they were charmed to see "USA Pizza" on the menu. That doesn't mean that they're traveling just for facebook photos. That doesn't mean they should be barred from getting a passport. There's no basis for any of these conclusions. Since we're focused so much on trying (trying to fit in, trying to appreciate a culture), how about we TRY to be a little nicer and not judge people without knowing anything about them? Clearly this is a topic that needs some more exploration from all of us -- thanks for the good discussion, everyone. I understand all of your sentiments, but from a journalistic point of view we all have to stop assuming we know what these people were thinking and feeling, considering there was no conversation between the two parties in question. To think they are "ignorant" is one thing, but to write that they are ignorant based on no facts other than some overheard conversation bits that add to a cumulative nothing is inaccurate and irresponsible writing. The ensuing judgment doesn’t sit well with me. I don’t expect everyone to agree, but it is important to understand how the description of PreteMoiParis' interaction can be interpreted because of this lack of information. Maybe they did feel bad. Maybe they had been trying to speak French all day and it didn't go over well. You have to consider the possibilities. As we expats all know, it's refreshing to be able to talk to someone in your native tongue after a long day, and merely exaggeratedly expressing this relief is hardly grounds for critique. (It’s a slippery slope to play as a writer – had these people mentioned Islam would we also assume they were terrorists? Extreme example, I know, but simply relishing in fellow English speakers does not show a disregard for French culture). But regardless of their feelings, simply reaching out to a fellow English speaker is hardly grounds for labeling these people "Ugly Americans" in the first place. Had the family spat on the French flag and ordered Chilean wine at the table, well, then we can talk. But come on, what IS on a USA Pizza??? I appreciate your tongue and cheek approach to the situation and your calm, collected responses to various comments. I'm obviously opinionated on the subject as well, and would write more, except I'm pretty hungry. Think i'll go try and find me one of those USA pizzas. are you short on creative things to post? why are you criticizing other posts just to juice yours up? i read the post you mention and what it says is NOTHING like what you do. you have manipulated her words and twisted them to prove a point that you never ended up proving anyway... just a little confusing. next time, please use only your own words. bashing someone else's post seems immature and, to be honest, a little desperate...? I met the completely unpretentious Melissa during a year-long stay in Paris. Ironically, it is her job to welcome Americans to the wonderful city of Paris, and she was the BEST person I could have ever imagined to do so. She does it with an open heart and mind, even accepting phone calls at all hours from "tourists." She helps people adjust culturally to this new city, and constantly comes up with exciting things to do to help them assimilate and broaden their cultural horizons. However, the tourists she mentions in her blog post are completely different than people traveling abroad to learn. They had no desire at all to assimilate into another culture, or they would not have complained about the lack of English in Paris. I think Melissa was even demure in how she described their ignorance; if you're going to go to another country, try not to be a complete idiot. The whole point of going is to experience the local culture, whether that is through the sites, cuisine, or language. It is not necessary to be fluent in French to visit Paris, but it IS necessary to recognize that you are the minority if you do not. Also, the tourists Melissa mentioned were not asking for directions or simply striking up a conversation with a neighbor; if anything, they were being typical Americans and rudely interrupting a conversation in order to jut in something unrelated. Finally, before you defend those tourists' ignorance, think about how they'd act if a French citizen (or any other nationality, for that matter) went to their (from what I can tell) Southern town and tried to interact without English? I think their words for the foreigners would be MUCH harsher than Melissa's. Think things all the way through next time, mec. How you interpret this quote is up to you, but it doesn't scream "ignorant tourist" to me. I think this is the main point of controversy here. I hear a group of tired tourists making a joke to some fellow English-speakers...is sarcasm and wit a dying art? Also, since when do we ask tourists to assimilate? Is that the goal of traveling? And why are we hating on Southerners all of the sudden...? I love helping tourists visiting our beautiful wonderland. Some tourists just don't understand and that's why we also have disney land for them. A couple weeks ago, I overheard a conversation my colleagues were having at work about someone they knew who was vacationing in France. One of them said, "Oh, he better be careful, those French people are mean." And I thought, wow, that's completely false. I've traveled a lot and have visited France a couple times, and I know what it feels like to be part of the group of chatty, loud Americans getting the occasional dirty look from the locals. In my experience, the French don't take much crap from tourists. I also have witnessed some utterly obnoxious behavior (more often than not) from my fellow countrymen/women, and have given my own dirty looks. I think it's easier for the English speaking tourist to function in other countries simply because pretty much EVERYTHING in the major cities is translated from announcements in airports and on trains to English versions of menus. We've come to expect everything to be handed to us, and often it is. Plus, many Americans seem to have a sense of entitlement that comes with the culture. 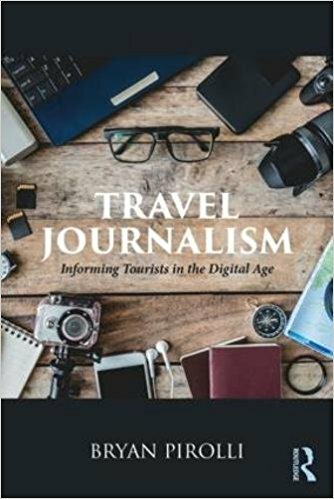 Regardless of stereotypes and generalizations, of who's right or wrong or whether or not the good tourists out-number the bad: it is not good journalism to repeat in mockery the valid observance and opinion of another writer. Your point here may be valid, but its delivery is as disrespectful as the ignorant tourists it refuses acknowledge.